Yesterday morning we say the release of the first full length trailer for one of the year’s most anticipated films, John Wick: Chapter 3 – Parabellum. The third film in the John Wick trilogy is a sequel to 2017’s John Wick: Chapter 2 and is set directly after the events of the previous film. 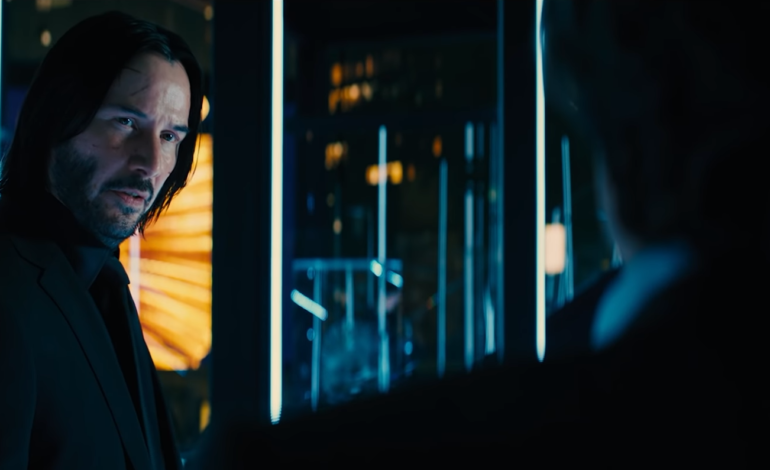 As seen in the trailer, John Wick (Keanu Reeves) is still on the run after his killing of Santino D’Antonio and has been kicked out of membership in the continental. He no longer has the services of the underground crime world and a $14 million contract is on his head as “The High Table” wants him dead. Wick will be pitted against even more assassins than he took on in the previous film, so he acquires the aid of an old friend and hit woman Sofia (Halle Berry) who is one of the few friends who hasn’t turned their back on him. The trailer showcases what fans of the series have become accustomed to with the extreme action sequences mixing gun play and hand to hand combat as well as chases on vehicle, and even horseback. Also starring in Parabellum are Laurence Fishburne, Mark Dacascos, Asia Kate Dillon, Lance Reddick, Saïd Taghmaoui, Jerome Flynn, Tobias Segal, Boban Marjanović, Anjelica Huston and Ian McShane. The screenplay was penned by Derek Kolstad, Shay Hatten, Chris Collins and Marc Abrams while Chad Stahelski returns for the third time to direct the neo-noir action thriller. John Wick: Chapter 3 – Parabellum is set to release on May 17th of this year. It will be distributed by Lionsgate and the trailer can be checked out below.